Chicago's Premier Auto Detailing Shop! A Plus Auto Detail located in Chicago, IL offers the best in auto detailing. 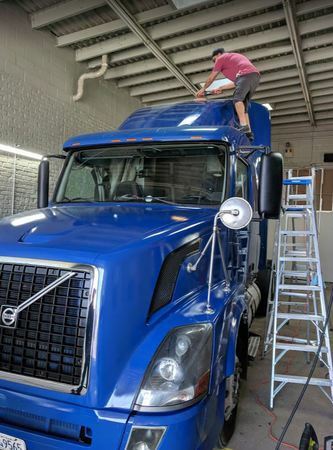 We offer a paint correction service and auto detailing service for your car, truck, boat, RV or motorcycle. We use ceramic coating paint, offer paint correction using paint sealant to polish them out with clay barring by waxing them to perfection. We also offer auto window tinting and auto stereo and video installation. Our auto detailing service isn't limited to just the outside of your auto, we offer interior auto detailing including auto upholstery cleaning. We are a certified installer and retailer of System X. Ask us about our remote start installations and auto alarm systems! Our team of experts will install your remote starter and alarm!